Happy Halloween Mwah Ha Ha....OK yeah you are right. It's ruddy ages to Halloween but for some reason I feel like I have been celebrating it for about three weeks? I hope you half term is going swimmingly and you are loving time with the kiddos. 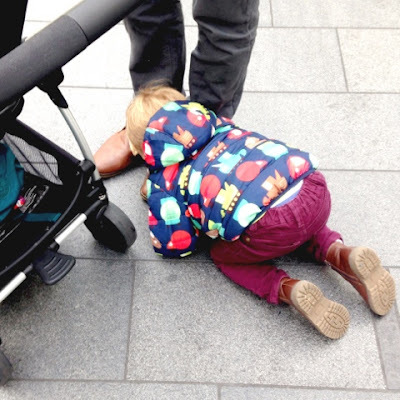 May their tantrums be far and few between and that you are embracing the lack of school run! Thanks to all those that linked up last week. Things have gone a bit quiet on the linky so was wondering how we can mix it up a bit. Should we just stick to real shots? Should we extend it to funny as well? Or shall we just be a small select crew of people? Tweet any ideas! Or leave them in the comments. Ta babs. 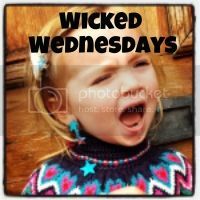 Last week I LOVED this one from the Little Book Of Sick and adored this stroppy tot from My May Sunshine and we have all been in a shot like this from Our Cherry Tree Blog. Thanks ladies! Hope to see you here again this week. Leave your link, comment on mine, comment on some others and share the love! Hehe, another lovely family day out I see! I would just going as it is. hehehe! Another fun day out. Just linked up for the first time - think this is great! Love how kids take to this position when they don't get their own way!